Sidney Thomas Parker was born in 1888 in Culham, Oxfordshire where his father Joseph was the Police Constable. By 1901 the family, Joseph, his wife Susan (nee Faulkner) and their four children had moved to Tetsworth. Joseph was still at the Police Station there 10 years later. On retiring from the Police it would seem that Joseph took on the Plough Inn in Priestend, Thame before finally settling in Long Crendon. 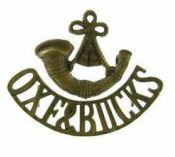 Sidney joined the Oxford and Bucks Light Infantry in 1907, as soon as he was 18 (Regimental No 8508). He was a member of the 2nd Battalion which formed part of 2nd Div at Aldershot on 2nd August 1914 and landed at Boulogne on 14th August 1914. He was on the area of the Western Front that saw some of the heaviest fighting of the early years of the war. The regiment entered the trenches near Richebourg D’Avoue on 10th May 2015. 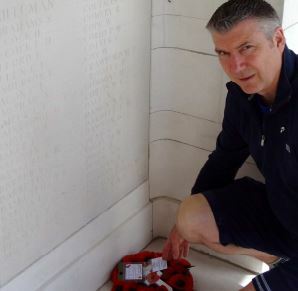 Acting Sergeant Sidney Parker died in action at Richebourg D’Avoue on 16 May 1915 part of the Battle of Festubert (15 – 25 May 1915). also remembered on Thame and Tetsworth war memorials and All Saints church memorial board.